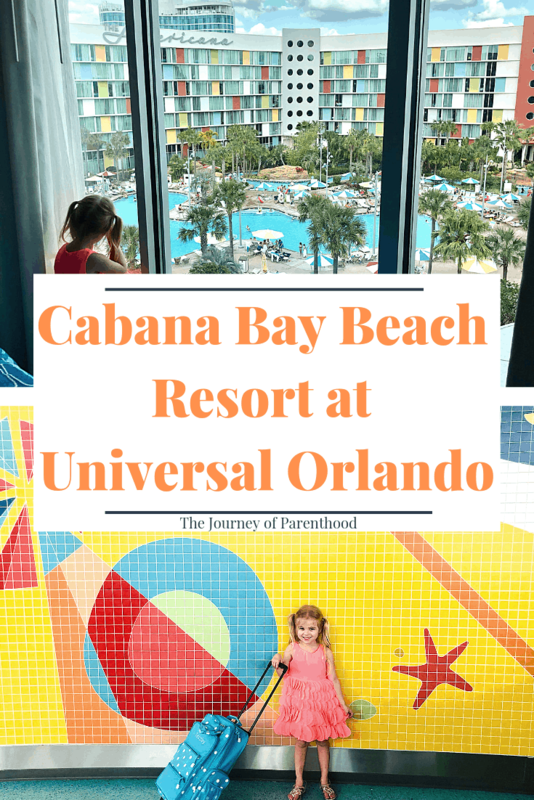 Cabana Bay Beach Resort: Travel Guide for Universal Orlando Resort. 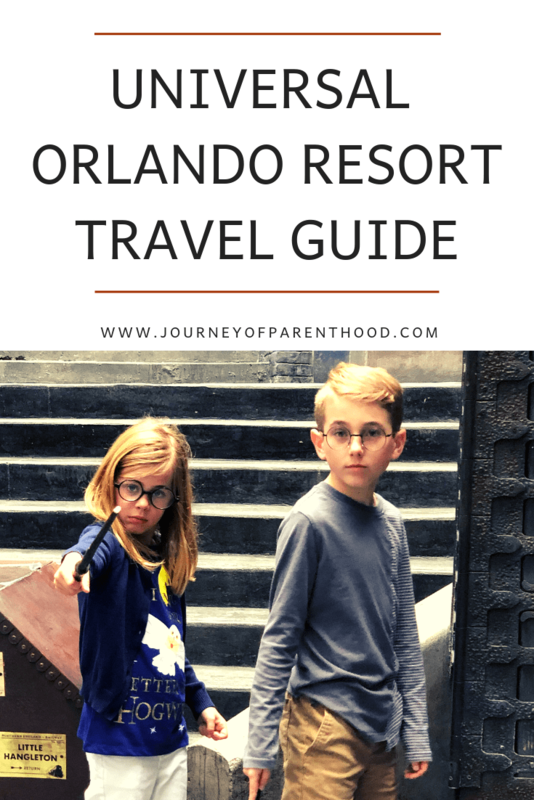 We were provided with complimentary accommodations and theme park tickets in exchange for coverage of our stay. Universal Cabana Bay Beach Resort is a prime value holtel located on-sit at Universal Orlando Resort in Orlando, Florida. It is 15 miles from the Orlando International Airport and 12 miles from downtown Orlando. 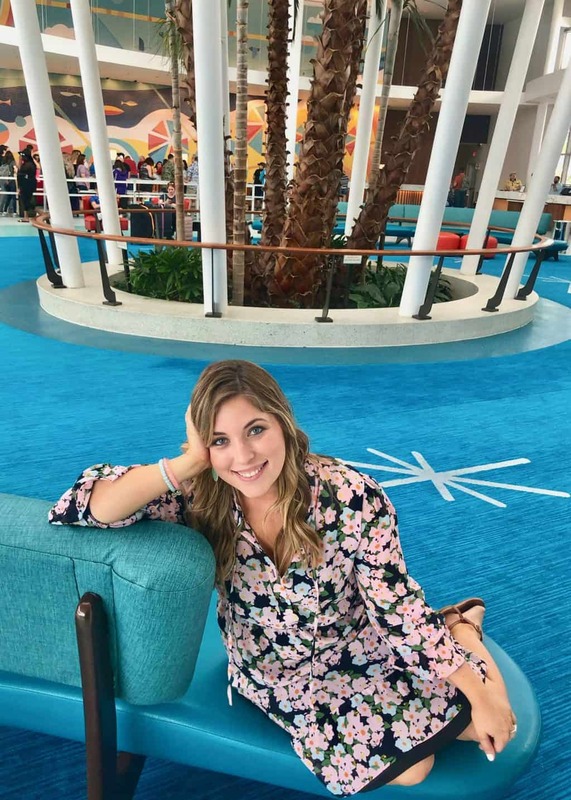 The theming at Universal Cabana Bay Beach Resort is fun, vibrate and has the retro feel of the classic Florida beach resorts from the 1950s and 1960s but with all the modern updates you’re looking for today! 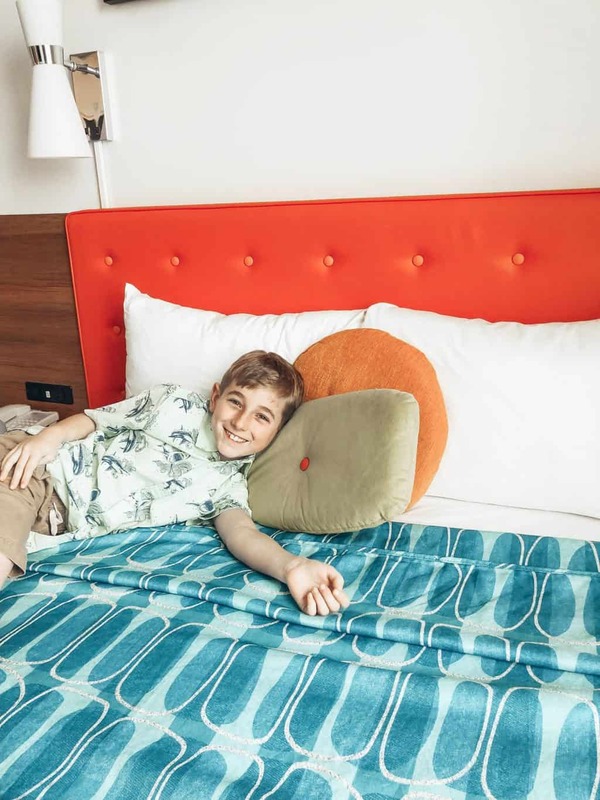 The check in process is quick and smooth and each room is gorgeously designed with families in mind. There are 2,200 guest rooms at the resort each with complimentary wifi that will NOT let you down! We had multiple devices running on the wifi in our room and had a quick connection our entire stay and our room was equipt with plenty of outlets to keep everything charged too! 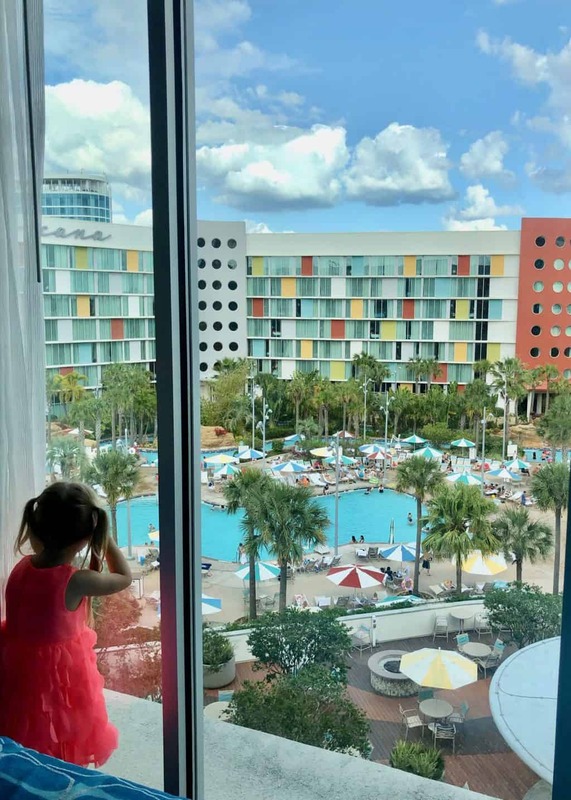 The Family Suites at Cabana Bay Beach Resort feature kitchenettes including a mini-fridge, microwave, coffee maker, sink and bar seating area with stools. The suites feature large closets and lots of room for storage in plenty of drawers and shelving throughout. The bedroom area has two queen beds and a nice divider splits the living space from the bedroom. The divider works beautifully at blocking out noise. We were able to watch TV when our kids were asleep and didn’t wake them at all. The living space also has a fold out couch. Both the living and sleeping areas have large flat screen tvs as well. The bathroom is very well thought out for family use. The watercloset is in it’s own enclosed space. There are two sink areas, one within the same area as the shower and another stand alone sink and mirror. 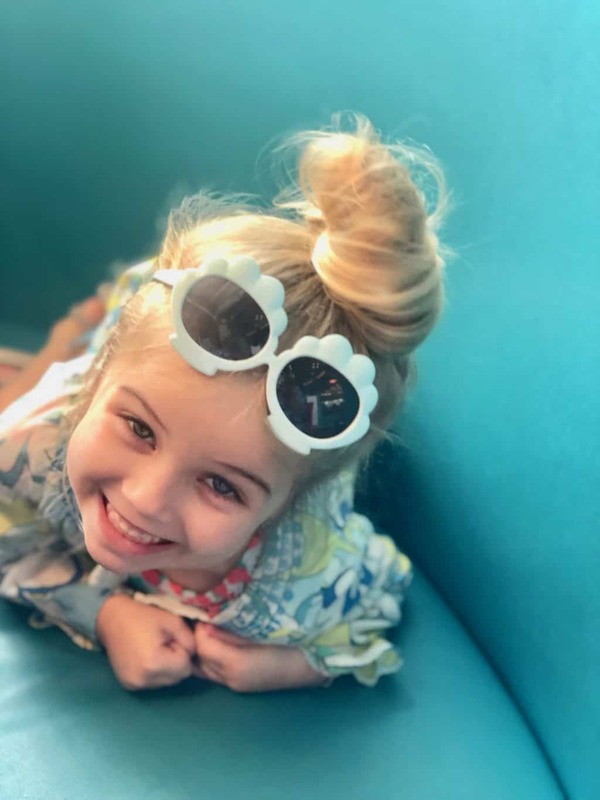 Five of us visited the resort and we all slept comfortably in the room and felt like we had plenty of space for all of our things and to be able to spread out and enjoy our stay! 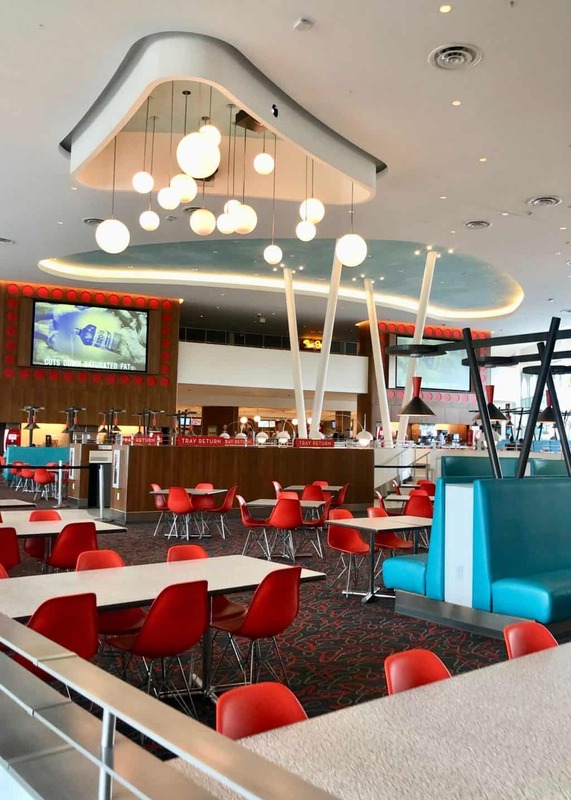 Bayliner Diner: Food Court featuring Grab and Go Items from a Variety of Themed Stations. Also has microwaves and paper plates perfect for heating leftovers! 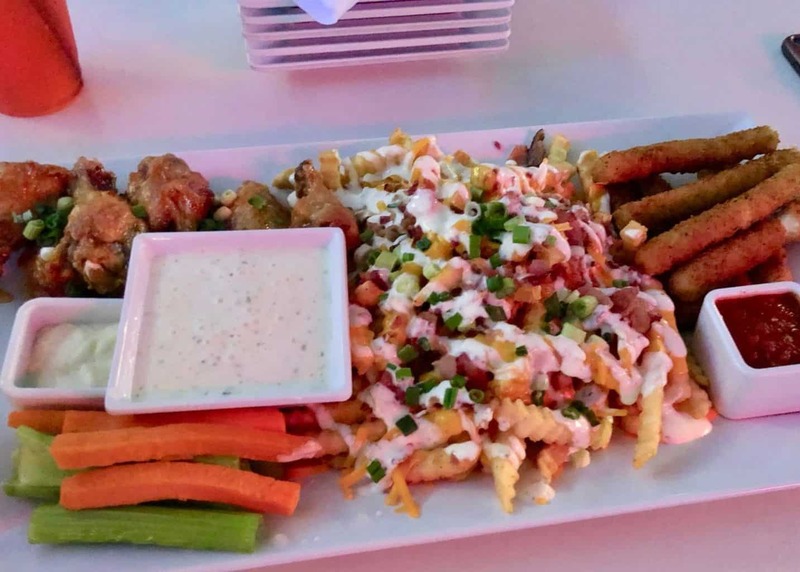 Atomic Tonic: Poolside Bar and Grill with a Variety of Specialty Alcoholic and Non-Alcoholic Beverages, Sandwiches, Salads, and Wraps are Served Alongside the Cabana Courtyard Pool Deck. 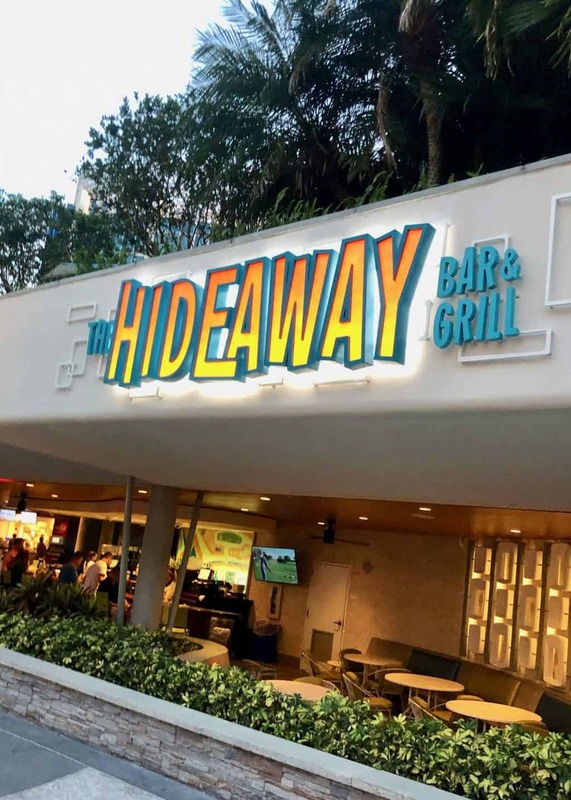 The Hideaway Bar and Grill: Lazy-River Courtyard Stop for Drinks, Burgers and More. Starbucks: Conveniently Located in the Lobby for Your Starbucks Fix! 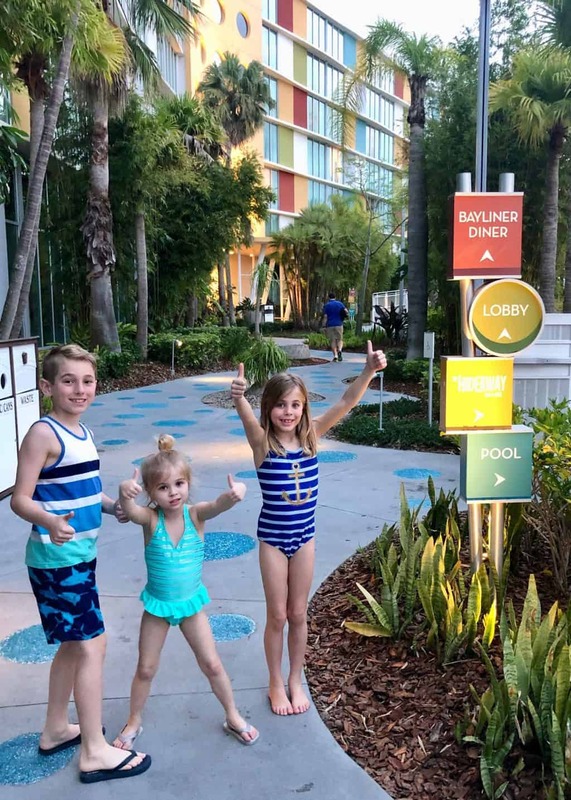 Our family LOVED Bayliner Diner and ate there for dinner one night and lunch another day. 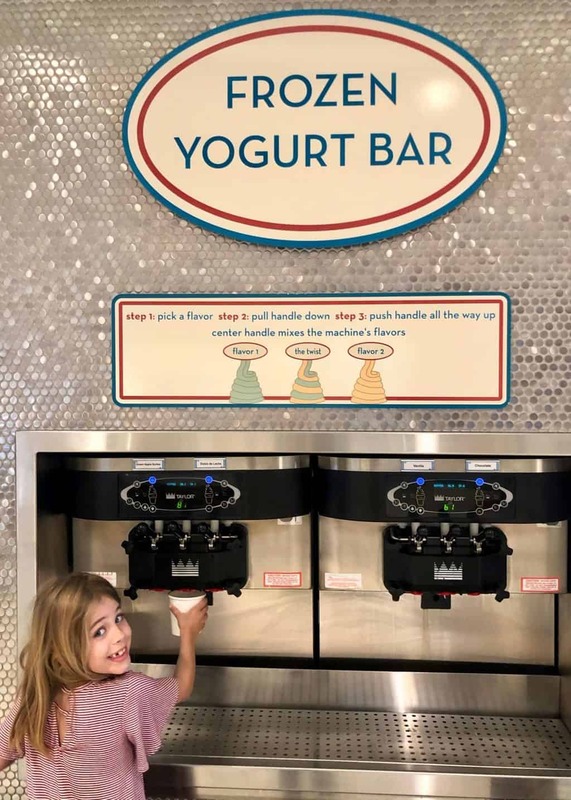 We loved the variety of options and enjoyed the salad bar and frozen yogurt station! We ordered Delizioso Pizza from the diner and all enjoyed it (fair warning: don’t order the breadsticks, just stick with the pizza!). 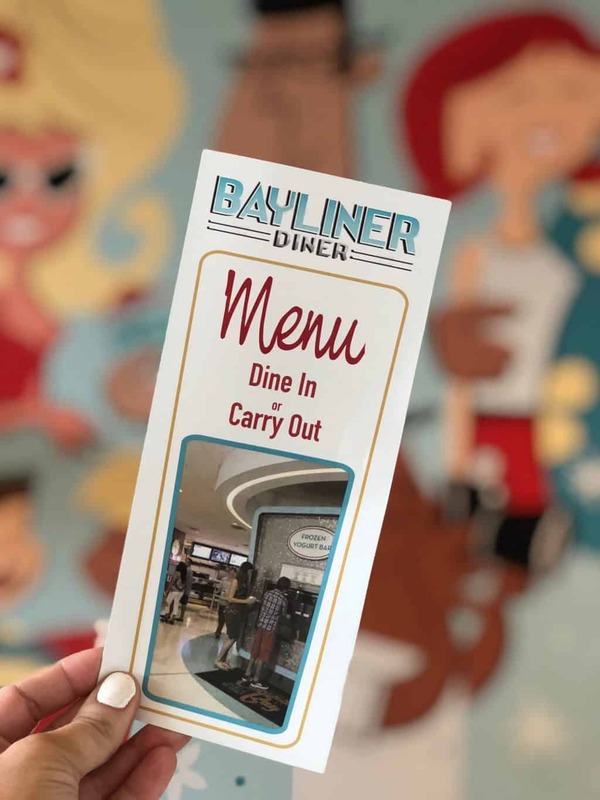 We were impressed with the pricing of the food items at Bayliner Diner and felt it was of good value for our family during our stay and found it to be a welcomed relaxing environment after a busy day at the theme parks. 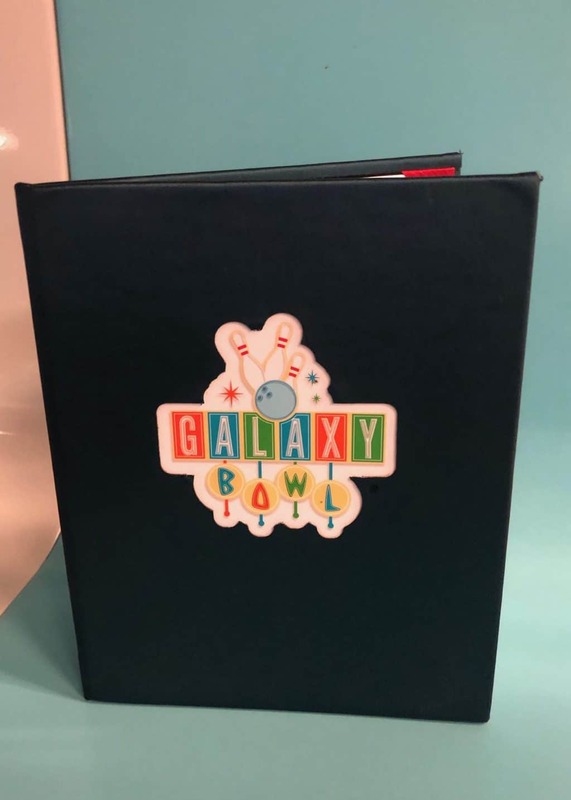 We also enjoyed a dinner at Galaxy Bowl Restaurant. The food was, again, good value and fair pricing. We all loved the pretzel bites and the loaded French fries. The plain burger was a bit of a letdown but the specialty Picnic Burger is a fun American-twist on a regular burger as it features a hot dog on top of a burger patty! It was a big win with our 10 year old! 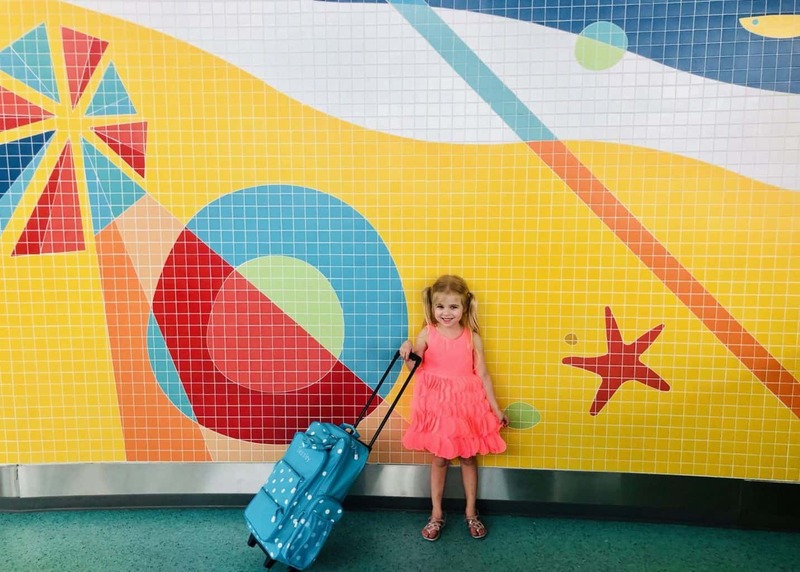 Family fun is the focus at Cabana Bay Beach Resort and we each found things we loved and enjoyed during our stay. 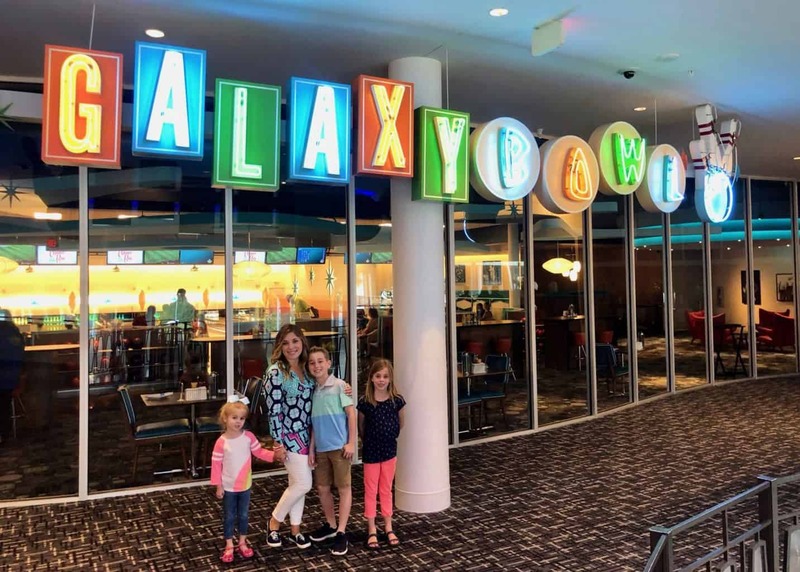 Our family had a BLAST at Galaxy Bowl. It was Tess’s (our four year olds) first time bowling and a memory we’ll always cherish as she LOVED every second of it! 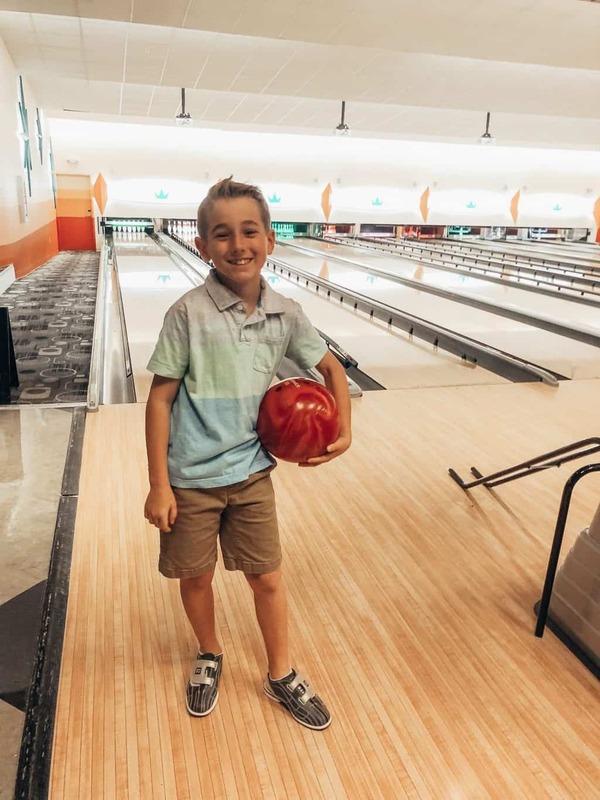 We went bowling during dinner time and had fun eating while we bowled. It was really neat when it got a little later and the overhead lights were dimmed and the neon lights of the bowling ally lit up! We also enjoyed the Lazy River Courtyard. The pool temperature was perfect (not cold but also not bath-water warm) and we enjoyed night swimming with the ducks. Something to know in advance is to bring along your own tubes for the lazy river as they are not provided by the resort, but can be purchased (I believe it’s $7 for an intertube). 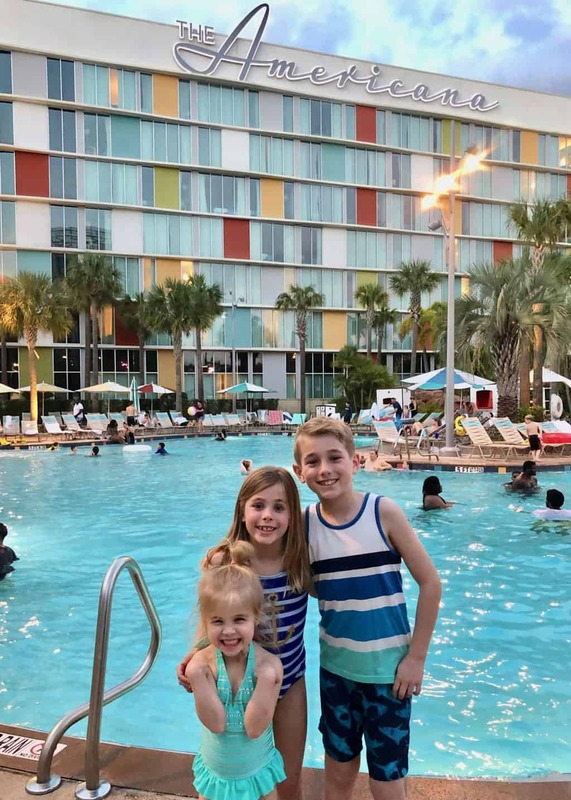 Movies are also played poolside most nights, be sure to ask at check in for the schedule and be aware that if you’re room is located with a view of the pool that you will most likely be able to hear the movie from your room. Having a white noise app on your phone and earplugs can come in handy if you plan to go to bed before the movie ends! 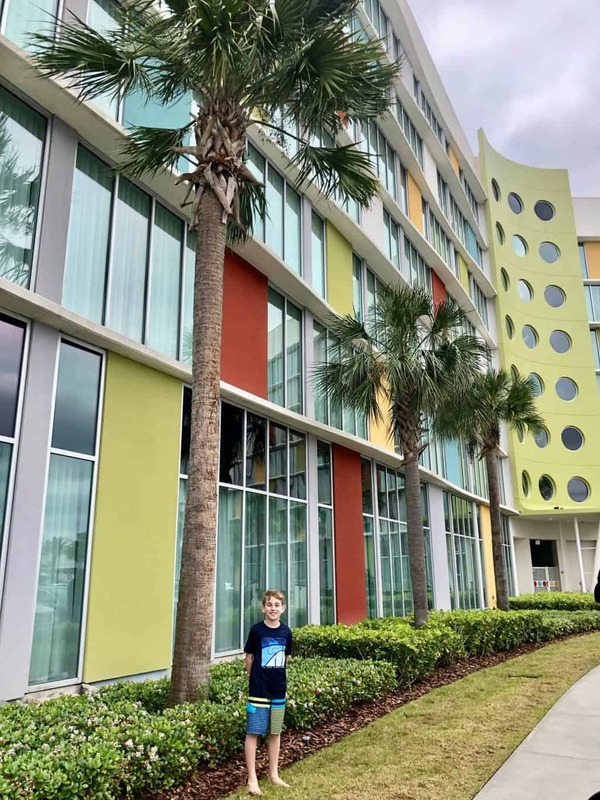 We walked to Universal Studios Florida from Cabana Bay Beach Resort. It was a beautiful walk, but would have been much faster to take the shuttle. We also utilized the water taxi and enjoyed that option the best for our transportation to and from theme parks. The walk from Cabana Bay Beach Resort to the private entrance at Volcano Bay took less than 3 minutes and it was convienet to have the smaller security checkpoint prior to entering the theme park. Florida Resident? Be Sure to Check Out Special Rates Just for You Here! 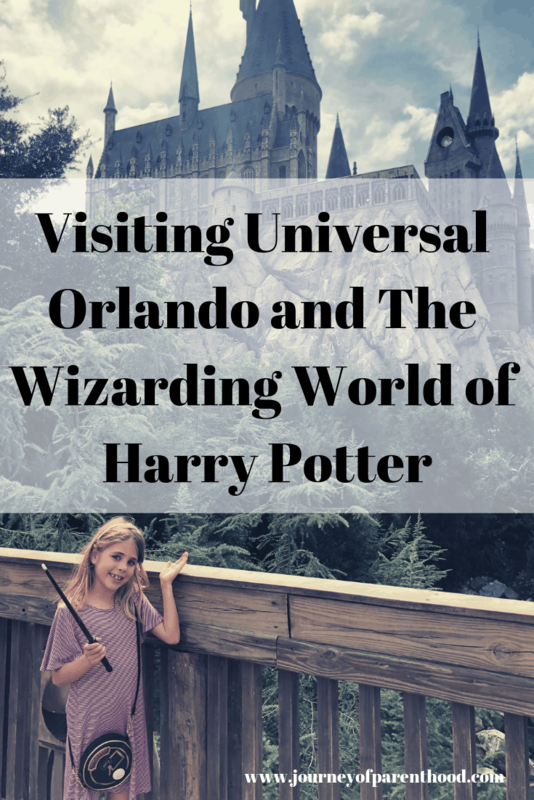 The Wizarding World of Harry Potter has two areas, one in each of the Universal Orlando Resorts theme parks. In Universal Studios Florida you are teleported into Diagon Alley. The ride in this section of the park is Harry Potter and the Escape from Gringotts. Even if you don’t like thrill rides (like myself!) this ride is an experience not to be missed! 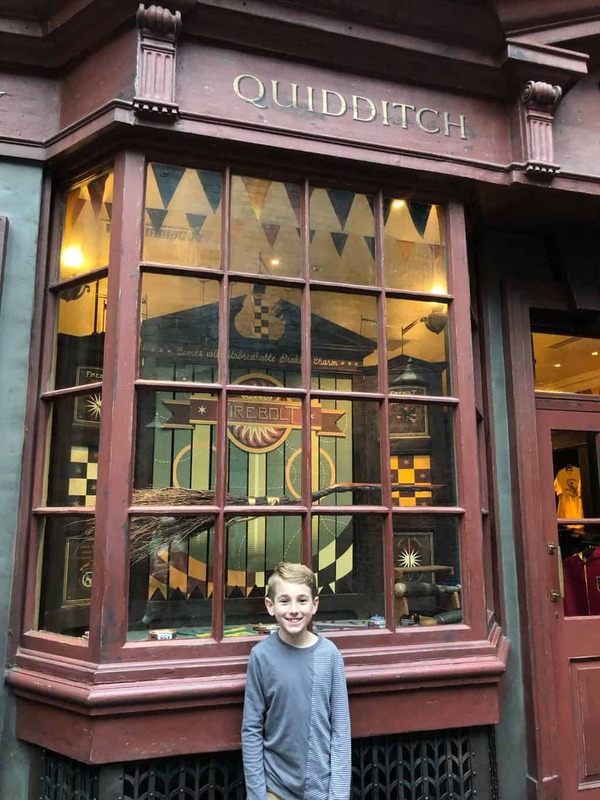 Visit Diagon Alley (and Knockturn Alley too!) early in the day to help avoid crowds. 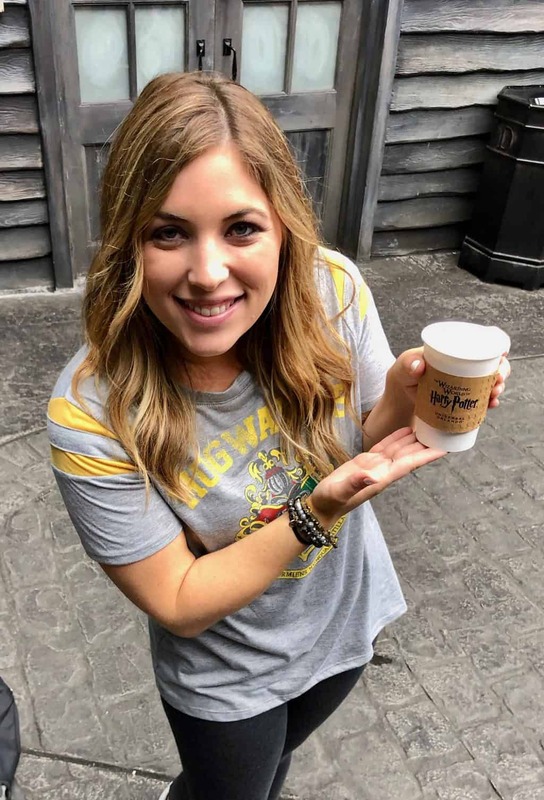 And don’t forget to try the butterbeer! 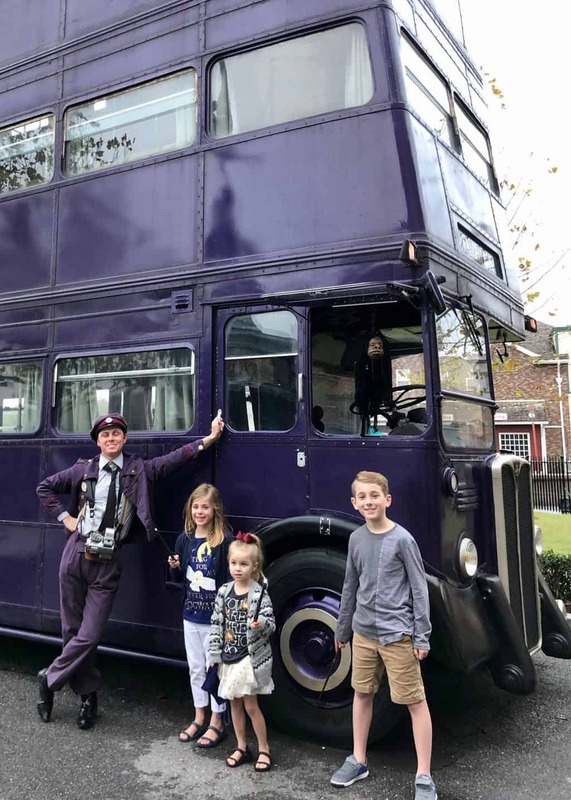 Prior to entering Diagon Alley don’t miss stopping by The Knight Bus for a visit. This interactive experience is one you won’t forget! Make sure you pause long enough in Diagon Alley to take in your surrounding and appreciate the intriguing details that went into creating this area. 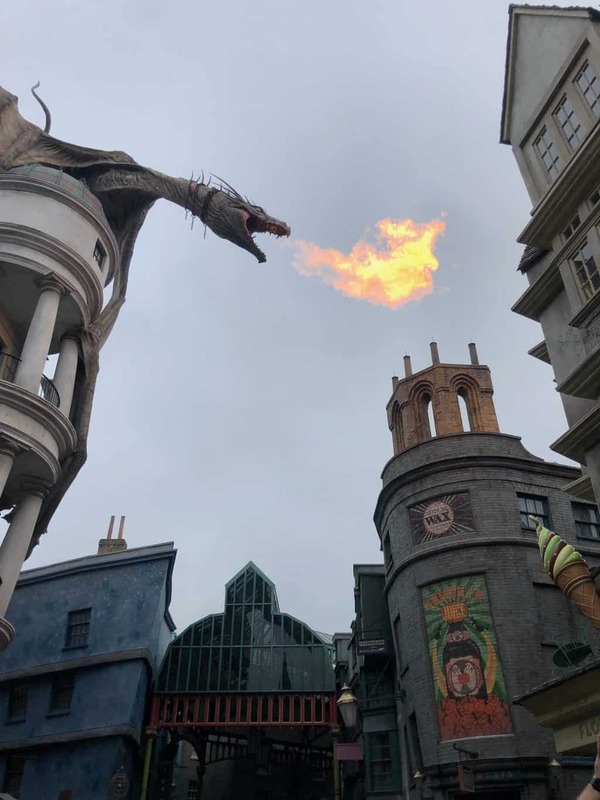 Don’t miss the fire breathing dragon on guard at Gringotts! Also make sure you have a park hopping pass to allow access to Universal’s Islands of Adventure. It’s the only way you’re able to access Hogwarts Express. 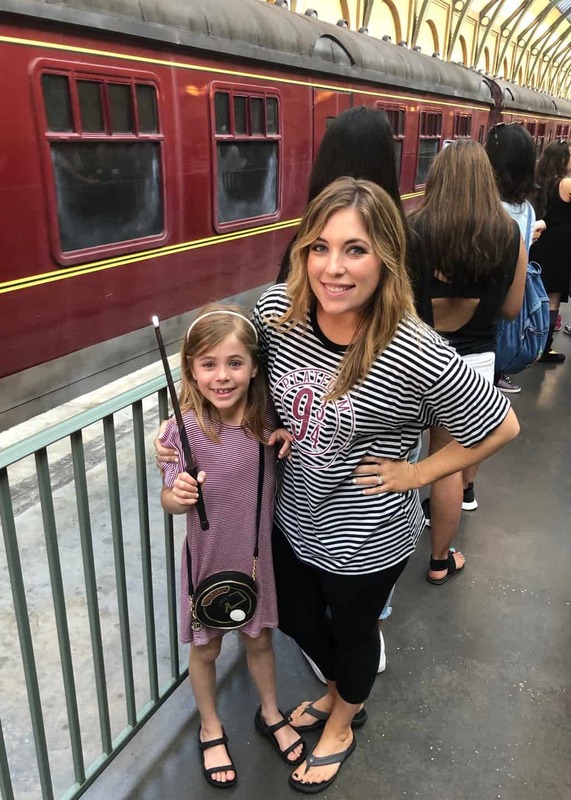 The train connects the two sections of The Wizarding World of Harry Potter and is a must-do! Purchase an Express Pass. You will not regret it! The Express Pass allows for a separate entry to all rides and experiences at Universal Studios Florida and Universal’s Islands of Adventure. 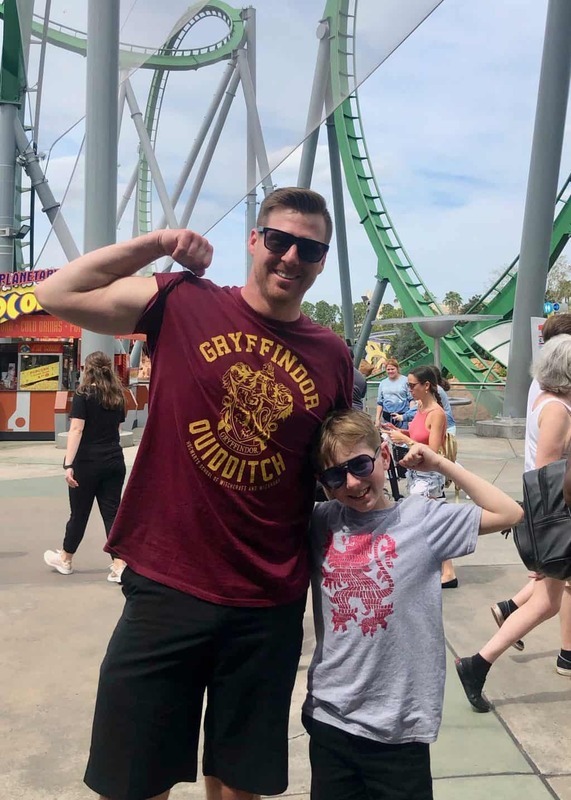 Universal Express allows skipping the regular lines once per participating ride at Universal Studios Florida and Universal’s Islands of Adventure. Learn more about Express Pass here! You can purchase an interactive wand at Ollivander’s Wand Shop or from many carts throughout The Wizarding World of Harry Potter. 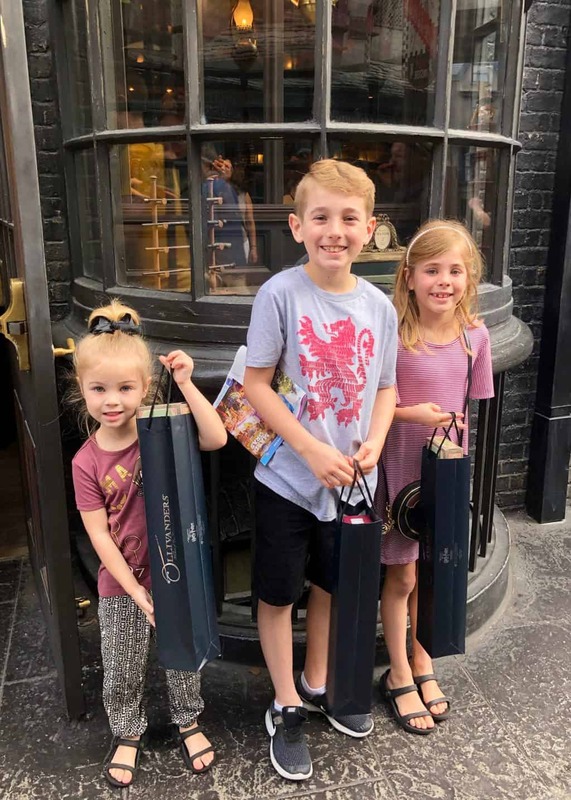 If you have multiple children I would highly recommend purchasing one of the interactive wands and then asking for the less expensive options. We purchased one interactive wand ($65) and two light up wands ($29 each). 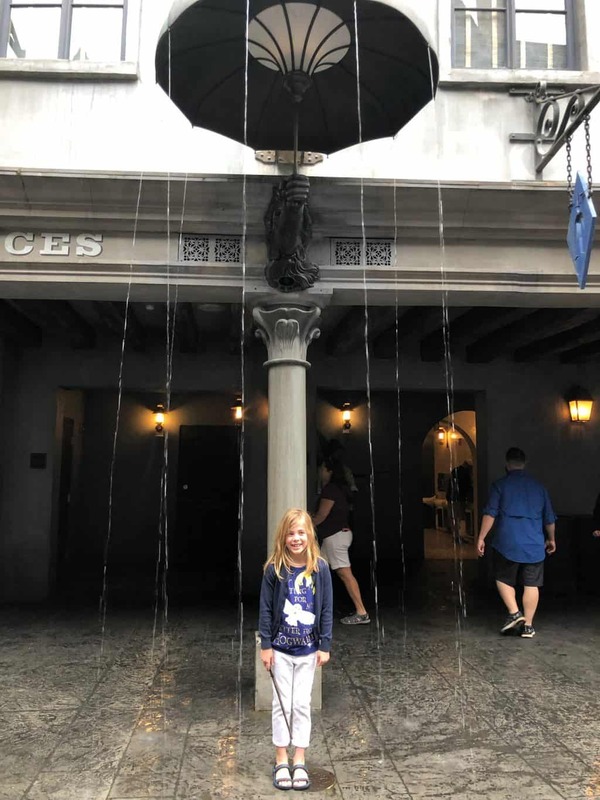 There are spell locations in both the Universal Studios Orlando section as well as the Universal’s Islands of Adventure section. Each interactive wand comes with a map to let you know where the spell stations are located and how to cast each particular spell. It’s a super fun activity for the entire family! 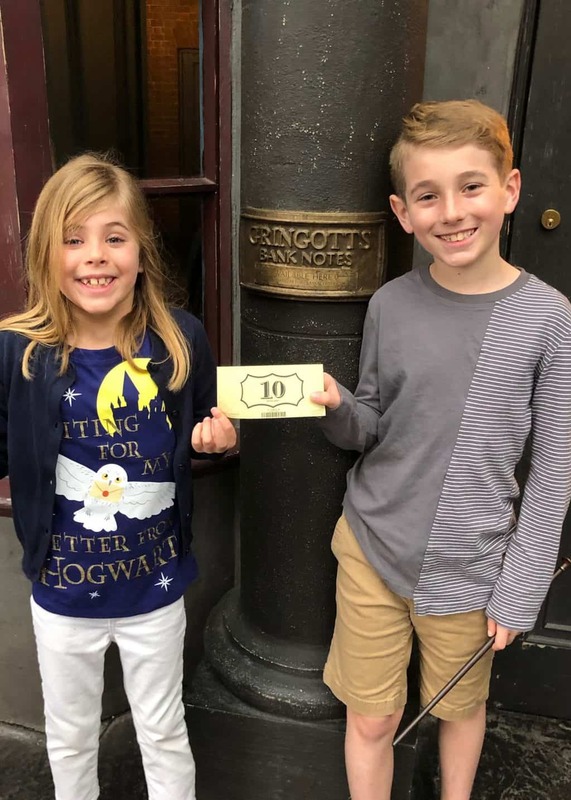 Inside Gringotts Bank you are able to exchange muggle money for wizard money. It is an even exchange (dollar for dollar) and the wizard money may be used at either of the Wizarding World areas. The Universal’s Islands of Adventure side of The Wizarding World of Harry Potter is the Hogsmeade town. 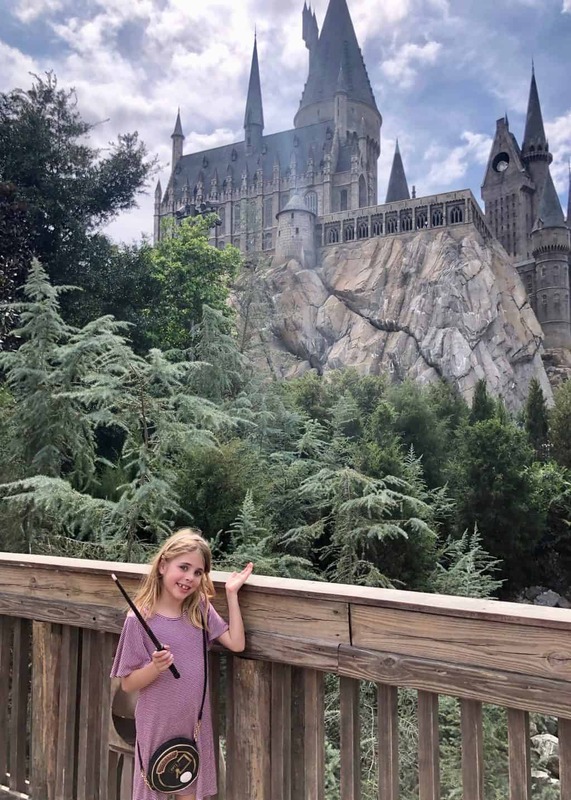 The experiences in this area include Harry Potter and the Forbidden Journey and Flight of the Hippogriff. 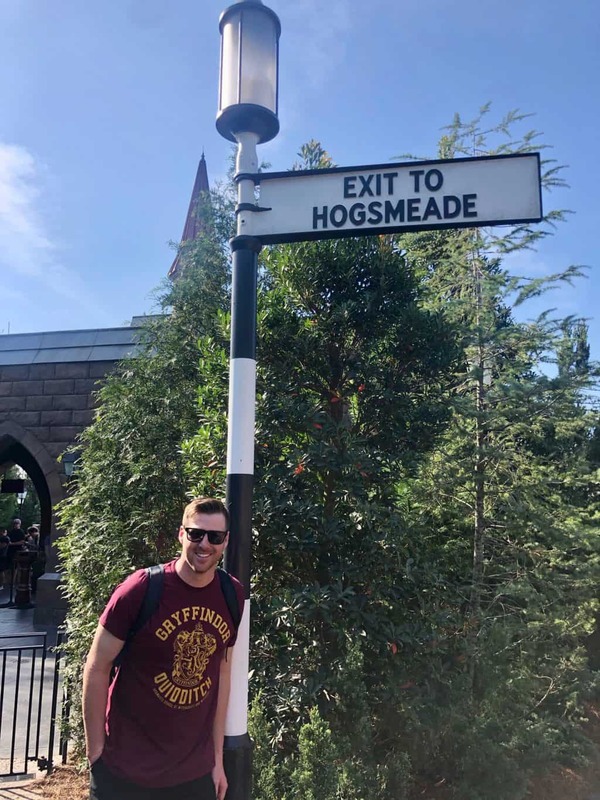 Harry Potter and the Forbidden Journey is only for the brave ones! There is a height restriction and this is more intense than the ride in Diagon Alley. Flight of the Hippogriff is a smaller rollercoaster that has a lower height allowance and is great for younger kids who may be too short for Harry Potter and the Forbidden Journey or Harry Potter and the Escape from Gringotts. Seuss Landing is a Dr Seuss themed area at Universal’s Islands of Adventure. This fun bright colored area is perfect for younger kids who may not be old or tall enough for the thrill rides throughout the rest of the park. 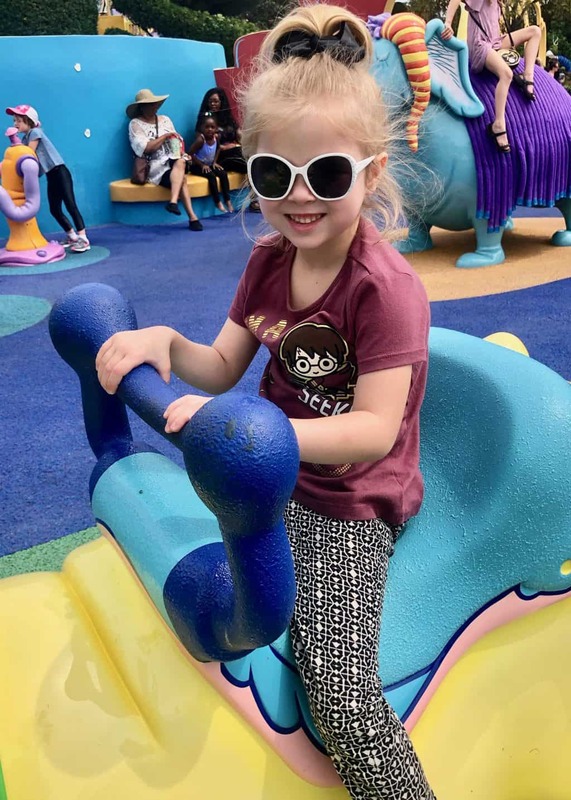 Seuss Landing has many rides, character meetings, play places, and food locations that your younger child will love! The Hulk is the best rollercoaster my son and husband have ever ridden. They LOVED it and it’s a must-do for any thrill seeker. 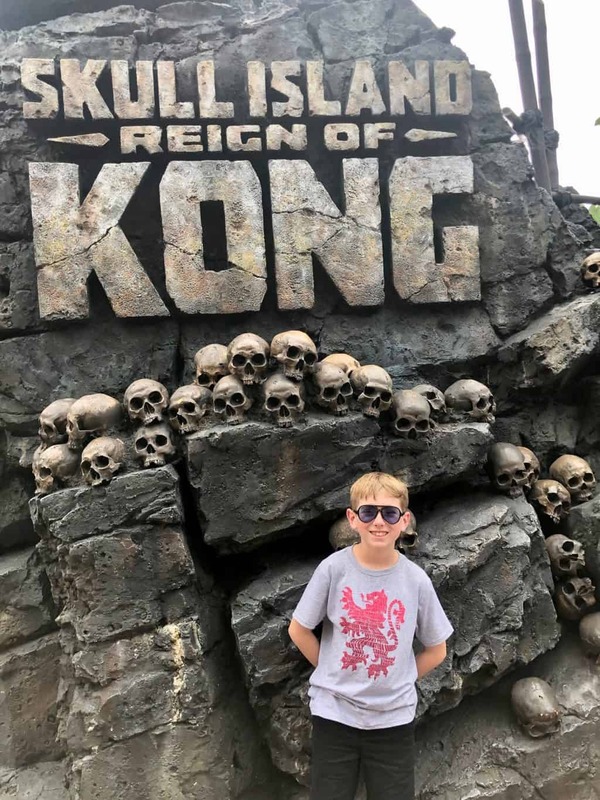 Skull Island Reign of Kong is a ride the whole family can enjoy together, even though who get motion sickness. It’s a very smooth ride and the graphics are incredible. 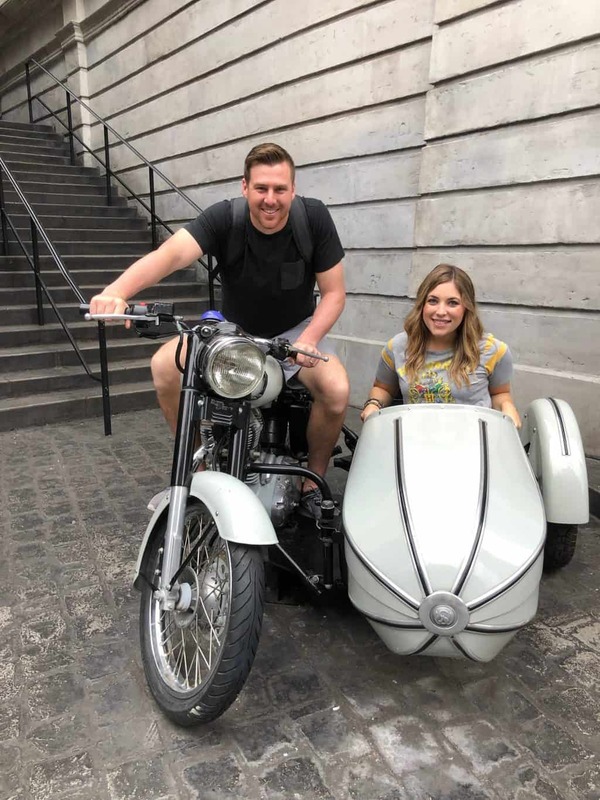 It was my personal favorite ride of our trip! 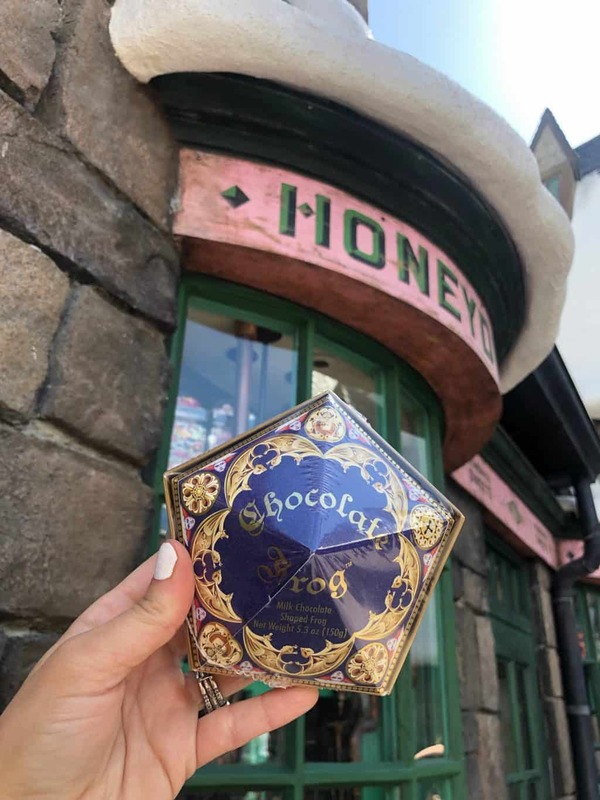 Be sure to check out all the details in Hogsmeade – and make a stop into Honeydukes for a chocolate frog! Most of the thrill rides do not allow you to have any items with you on the ride. Lockers are provided, however, they take up a lot of your time as there is often a line to use the lockers. 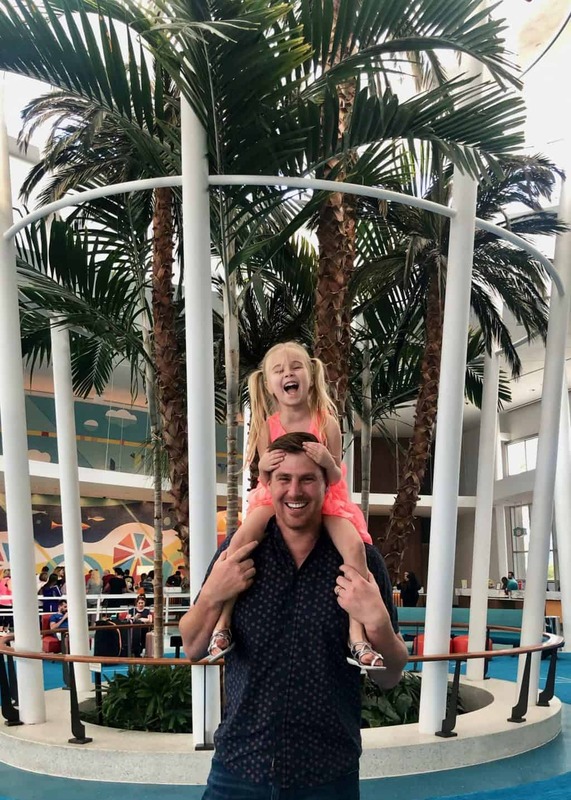 It’s best to have someone hold all the items who isn’t riding the ride so the thrill seekers can get through the lines and experiences quicker! 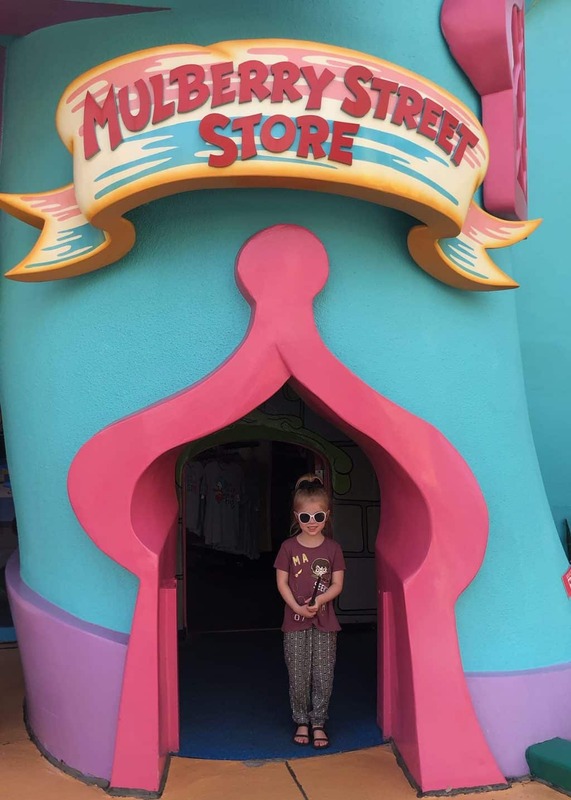 If you have younger children be sure to hang out in Seuss Landing! There is plenty to do to allow the older crowd to ride the bigger rides and experiences. The theming is amazing and the rides are EPIC. Kala and Tai Nui Serpentine Body Slides are an experience no one will forget. 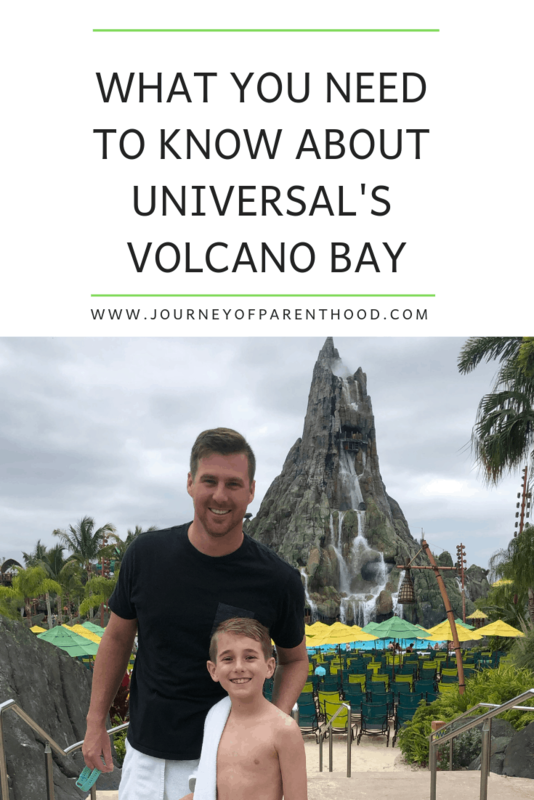 See if you are brave enough to drop down from the volcano! My husband and oldest son did it ALL and loved every minute of it. Another favorite was TeAwa The Fearless River! You do not need to worry about bringing along your own pool towels. 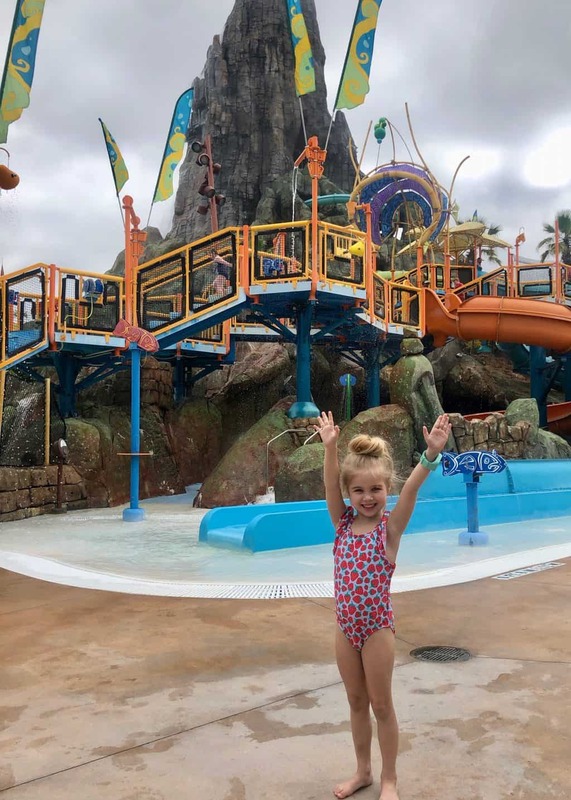 The waterpark provides plenty of towels for your use while visiting! 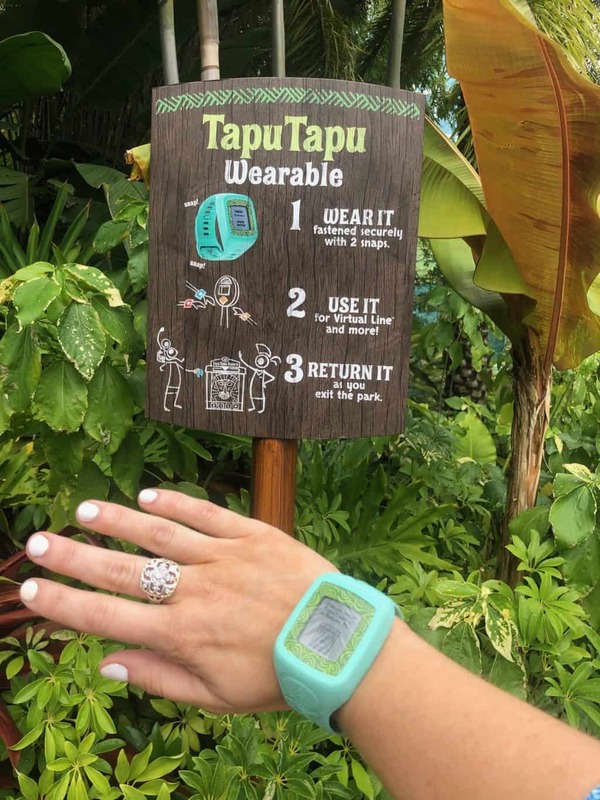 This band allows you to place yourself in a virtual line for all the slides and experiences at Universal’s Volcano Bay. Simply scan the band at an attraction and you will be notified on your band when it’s time to return to the line. On the day we visited the park was empty so we didn’t take full advantage of the bands but the technology is awesome and it will come in handy on busier days! 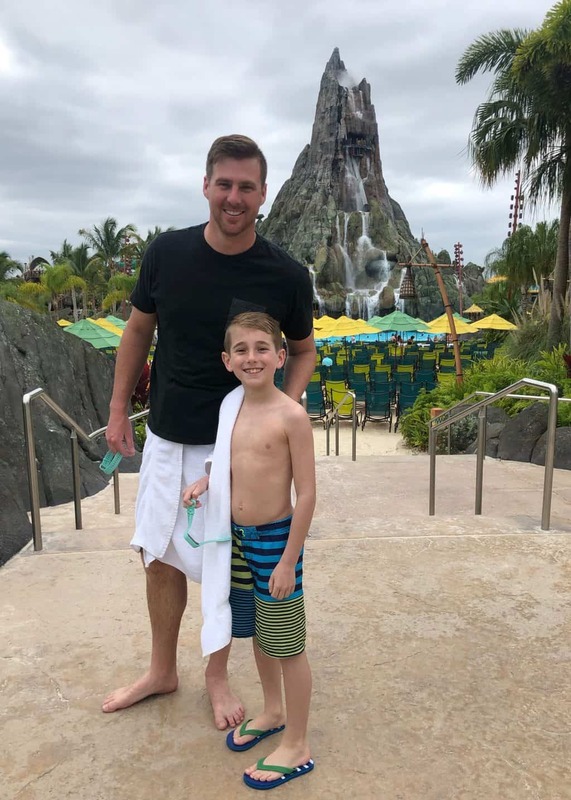 When entering the waterpark be sure to have your children stand to check their heights. 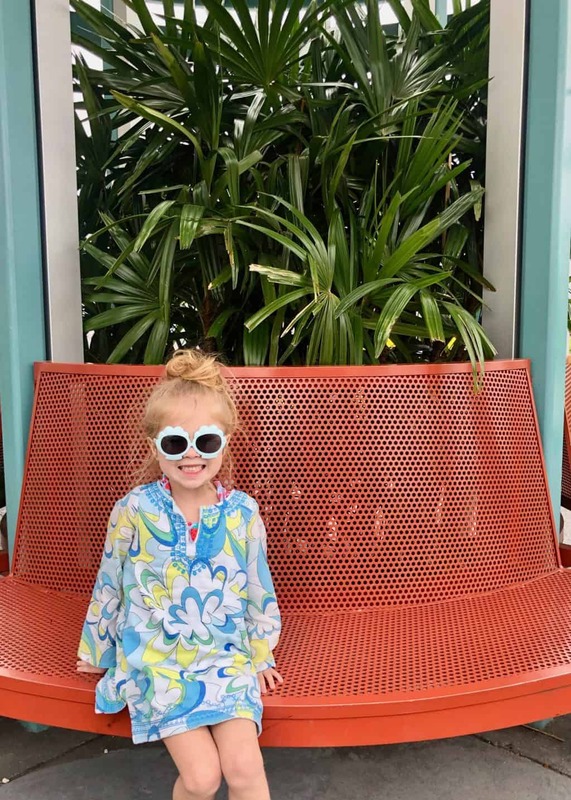 If your child is under 42″ tall they won’t be able to ride any of the slides except for the lazy river and the toddler slide and play area. It is wise to prepare little ones to not expect the wild slide experiences! 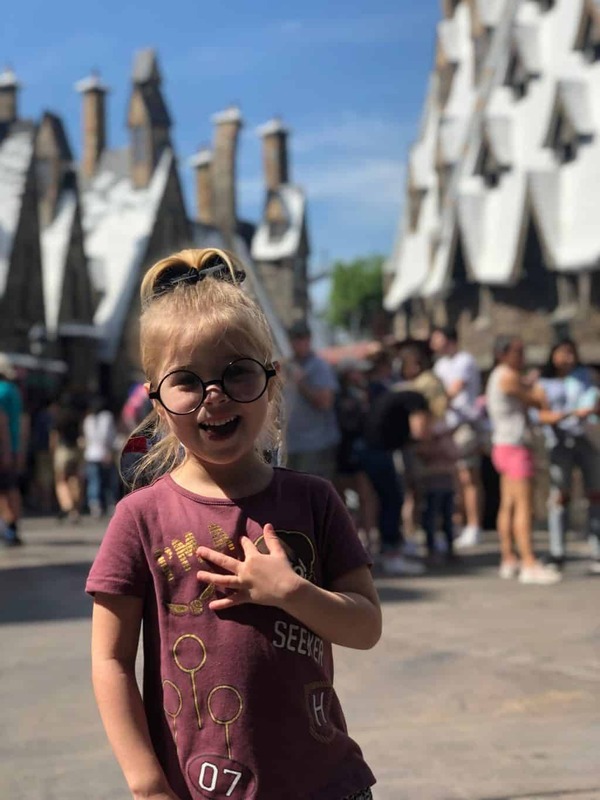 Whether your family is into the thrills, filled with Harry Potter fans, or ready to hit the water slides you will find something for everyone at Universal Orlando Resort! 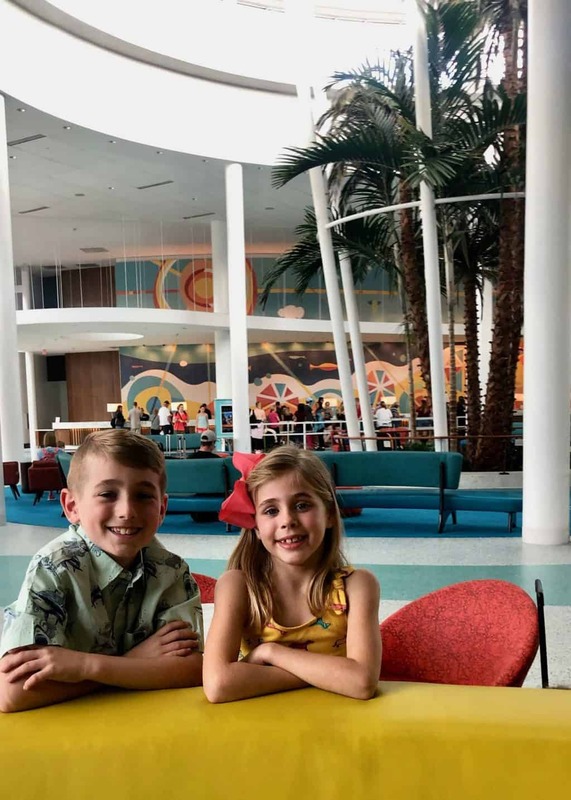 Once you are worn out from the parks be sure to head back to Universal’s Cabana Bay Beach Resort for more family fun in a retro relaxing environment.